Your backyard is an extension of your home, where you can entertain friends and family and simply enjoy the outdoors and fresh air. With spring now starting to show through in CT, the landscaping designers and contractors from Giglio Landscape Services want to deliver the perfect backyard for enjoying all that the outdoors have to offer. Whether you’re looking for a lush new lawn, planting a new garden, or installing a patio for entertaining, they have the expertise to deliver a beautiful landscape efficiently and affordably. The residential landscaping experts at Giglio Landscape Services are able to provide all types of landscaping designs as well as lawn maintenance services. With over 30 years of combined experience, they know what it takes to get a backyard ready for entertaining during the warm summer months. Now is the time of year that is crucial to start your lawn maintenance to make sure it looks its best for the upcoming summer months. Proper landscaping requires remaining on schedule with seasonal work. There may be more work in the summer with grass cutting and fertilizing, but that does not mean that is when landscaping should start. Proper seasonal lawn maintenance is key to having a backyard you can enjoy and be proud of. As spring begins it may be tempting to start lawn care early thinking you can get a jump on improving the look of your yard. However, right now the most that should be done is sprucing up your lawn with branch removal from the winter. Spring landscaping shouldn’t start until it is warm enough to go outside without needing a jacket. Everything from fertilization to using lawn tools should be avoided as they may prevent the growth of new grass. Tending to your yard is also crucial, especially if you enjoy entertaining during the spring and summer months. The backyard design experts from Giglio Landscaping will help you to create the outdoor oasis that you desire. Lush green grass and beautiful flower beds can help to bring out many features such as pools, sculptures, patios and more. 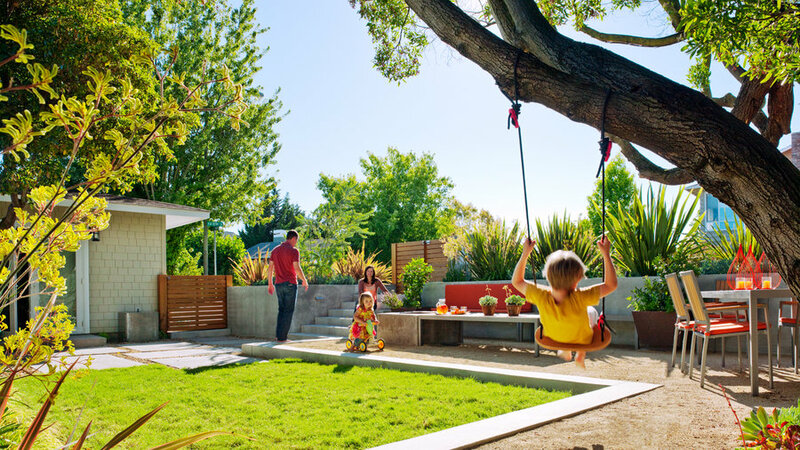 Advanced designs are available for both small and large spaces, so you can enjoy every square inch of your yard. So contact Giglio Landscape today to prepare your lawn for the months where outdoor entertaining is just one more way to enjoy your yard. With the removal of branches and winter debris, to fertilizing your lawn when warmer weather approaches, they can help bring to life your new landscape design this year.